In July 1992, EDF creates the Inertam EIG (Economic Interest Grouping) dedicated to developing an industrial prototype to process asbestos by vitrification using confidential plasma defence technology developed by the Aerospace industry. On 1 July 2001, EDF transfers the Inertam site to COFAL, a subsidiary of Europlasma, under a lease-management agreement. Two years later, Europlasma purchases the business and site from EDF, and thus becomes the owner of the only site in the world that uses plasma technology to destroy asbestos. Initially, the site had two fusion lines with a capacity of 0.5 tonnes per hour each. In order to increase the processing capacity and modernise the facilities, Europlasma designs a new processing line with a furnace and next-generation plasma torches. This third line (L3), designed to process 2 tonnes per hour through continuous operation, was self-financed by Europlasma (investment of €18M). End 2005: Prefectural authorisation to recycle COFALIT as aggregate, for use as a road-building substrate. April 2006: Exemption from the GTPA (General Tax on Polluting Activities) on inbound asbestos waste. Investment of €2M in the load preparation zone, aiming to improve productivity (expected increase of around 30%) and reduce the environmental impact. Europlasma is a French group with over 20 years' of expertise founded on its proprietary technology, the plasma torch, which can be used to achieve very high temperatures. Europlasma's mission is to develop, construct and implement the numerous applications of the plasma torch, in the service of humans and their environment. The plasma torch is the heat tool used at the heart of the vitrification process. This tool makes it possible to achieve temperatures close to that of the sun and thus melt materials. 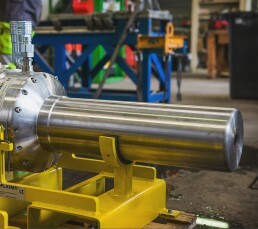 Initially used to test the strength of the materials used to build missiles for their re-entry into the atmosphere, the plasma torch developed by the Aerospace industry has been used in industrial applications such as the steel and metal working industries since the mid-1980s, as a heat source. Thermal plasma, the best known natural example of which is the sun, is a state of matter that has become extremely hot and has high energy density due to the ionisation of its atoms. Artificial plasma is created using a plasma torch, by blowing air over an electrical arc inside the torch: this results in plasma. It is this plasma which, using an extremely high-energy thermal reaction, enables the waste to melt and combine in the vitrification furnace.